Reference of Yamal is found in Mahabharata and Kavya literature where it means a pair, brace, a couple or twins. Yamal is also referenced in Sangeet-Sarsangrah where it refers to a singer in a duet performance. Reference of this name is also found in Suryasidhanth (सूर्यसिद्धान्त) where the name Yamal is used as the number two. Yamal is mentioned in Sushrut (सुश्रुत) with the meanings as doubled, twin or paired. Yamal is not a very popular name nor in the USA neither in the India. 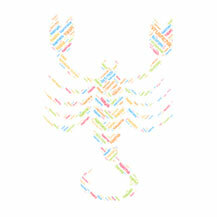 According to the graph Yamal is used by 5 people in the year 1971 as the name of their children. Yamal is used by only 8 people in India as the name of their children. 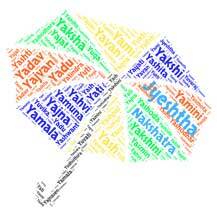 A girl name Yamala is also very less popular as it is also used by only 23 people in India. Yamal is very rare and easy to pronounce name with the good Sanskrit meaning. Yadavendra (Sanskrit: यादवेन्द्र) is a Hindu/Sanskrit Indian..